We are a micro-batch roaster which means each batch is carefully crafted by our Roastmaster to your instructions and comes to you straight from the roaster. 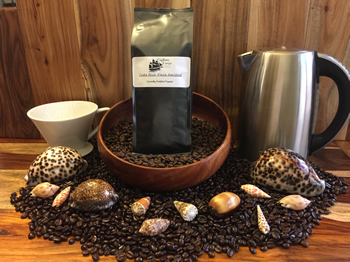 You will get the freshest, best-tasting Certified Organic coffee from around the world. Fresh roasted coffee beans need to age for 2-3 days before optimal flavor. We use mylar bags with oneway valves to allow the CO2 to escape, while not letting any outside odors in. Captain Davy sails the seas searching for the best coffees the world has to offer, just for you’re drinking pleasure. May you always have fair weather, following seas and a safe harbor in your life’s journey.